One of our friend, Mr.Xu, owns a small company designing case for mobile phones. Now he has designed a case for cubieboard. The color will be black and white or transparent. For more pictures. view the gallery. 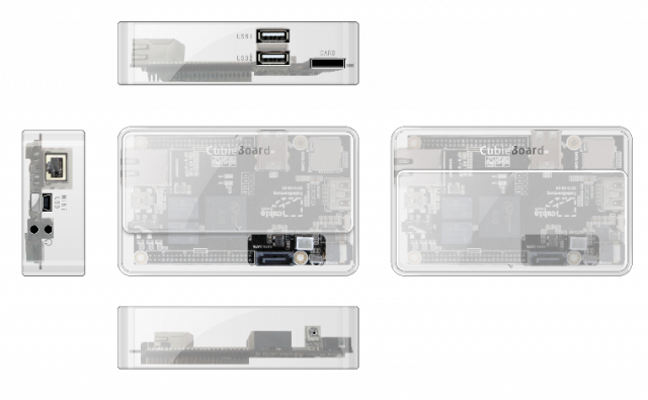 18 Responses to "A new case for cubieboard"
BEWARE THE HDMI! I mean the many plug have plastic shell larger that the hole on case. Provide a lalger hole on case to fit more plugs shape. Looks really good, any chance of all black design? This box looks good, hope there Will be a version with a space for a 2,5″ disk in the future. And that they come on sale on the cubieboard shop. Very promising. Nice case. It will fit to most design requirements. But it doesn’t contain space for a disk. This could be useful for many people that might use this for desktop/server purpose. Would it be possible to create a similar case including space for a sata disk? Have a look at the Cubieboard Basket which has space for a SATA disk. When will this be on sale? Any estimate? i can not tell until i see the sample. Could you send me Mr. Xus Mail address or contact data? I might be interested in some of his work in the near future. I would SO buy this when it goes on sale! However I was wondering if you could add some kind of cover for the SD card hole. Do not swap cards that often. And why not to do box for CubieBoard with space for 2.5” disk ? Good idea! Just a little thicker, the case will have enough space for a 2.5′ hard disk. Seconded. The main reason I’d want a CubieBoard (rather than a Raspberry Pi) is to attach a mSATA SSD to it and use it as a MP3 jukebox/internet radio. 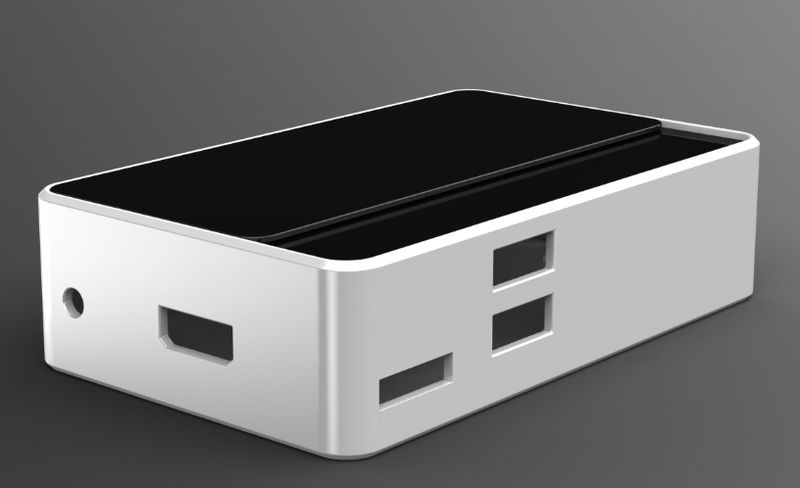 A case with space for a SSD or hard drive would be ideal. they must provide also a dedicated plug otherwise the normal one have the wire so long that require more space than the single hard disk. The new box is a very appealing and I hope it makes way into your store soon. However, I think the HDMI port is labelled as USB or are my eyes playing tricks ? Check at http://cubieboard.org/2013/01/15/new-case-sample-back/ for the actual printed case, which has “HDMI” for the HDMI port (I did not check this post whether it has a mistake in the computer image).